Our next Global Communication and Science project will be taking place in Angola. 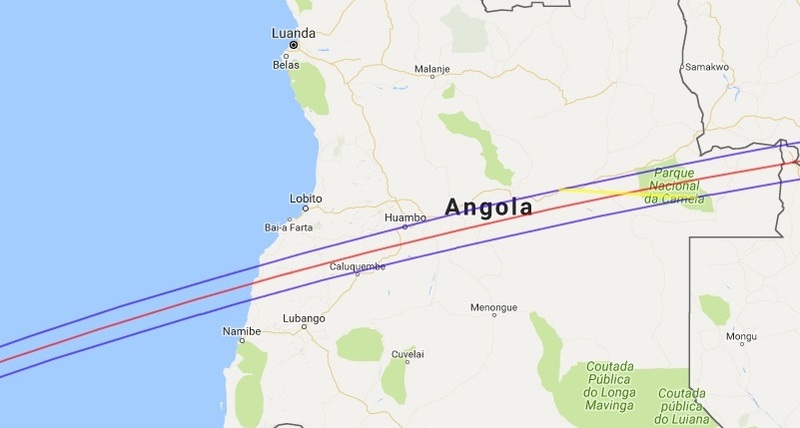 We’ll be in Huambo, Angola’s second city, where there will be an annular solar eclipse on February 26th 2017. The Instituto Superior de Ciências de Educação do Huambo (ISCED) will be our hosts. We’re working on a range of educational and public outreach activities to mark the eclipse, including a live broadcast with the astronomy website Slooh. We are tremendously grateful to Mário José da Costa Rodrigues and his outstanding team at ISCED, and to Paul Cox and all the brilliant and inspiring people at Slooh. We would also like to record our sincere thanks to the Ministry of Higher Education of Angola, and the Provincial Government of Huambo. According to statistics from Alexa, Quantcast and Compete, timeanddate.com is easily the biggest time zone-related website in the world. According to media reviews, it is also the best: “a brilliant resource,” says BBC News. timeanddate.com offers in-depth articles and infographics on the science of eclipses, and shows information for all eclipses on all continents from 1900 to 2099.